It is now officially here for the new generation, Grand Theft Auto 5. Now that I’ve had some time to play with it for awhile, let me tell you, it is definitely a beauty to behold! After playing it for a couple of weeks and playing some missions, exploring the map, and spending time playing as each of the three major characters, it is now time to tell how great the game is even after this re-release for the new systems! Some may still ask, what is GTA 5 about, especially for this generation of systems. I can definitely tell you that the nature of the game hasn’t changed, it’s just looks better and has so much more value for the online portion of it. The graphics for GTA 5 on PS3 were good even at 720p and definitely some of the best for that system. With the release of the game on the PS4 and running in full 1080p, it just looks even better! The draw distance has been increased, the textures look sharper and more lifelike, there is more car traffic as well as increased pedestrians, the weather and day/night cycles looks even more lifelike. Every time I pop in the game and it loads up, I still get amazed at the sheer beauty of it. Even Michael is impressed with how much better everyone looks! Even as good as the graphics are, there are some hiccups here and there, but nothing that takes away from the experience. Once in a great while there will be some pop in from such things as signs and a few other objects, but again it is rare and does not take away from the experience. There is a little bit of a graphical edge on the PS4 version when compared to the Xbox One version mainly when it comes to being outside of the city as you’ll notice that the PS4 will have more authentic looking foliage. Some of the animals even look amazing in GTA 5 now. As I have mentioned before in a past post of mine of why you should get this game, the new first person mode is a first for the Grand Theft Auto series. It definitely takes some getting used to for me as I’m usually not a fps game person (have made some noticeable exceptions with the Call of Duty series in the past), but for those of you used to playing in first person, you should definitely have no problems. You’ll notice a lot more detail when playing in first person mode. Things that looked a little fuzzy in the PS3 version from third person, looks much more clear and detailed thanks to increased textures and running in a 1080p resolution. It is especially amazing when driving in a car and looking down to see the dash and odometers move realistically such as the speed odometer. You’ll also notice other wonderful details when looking around in first person mode. Now when there is a lot of action on screen, sometimes it can be a little burdensome because you can’t always see fast enough who is shooting at you in first person mode especially if they are behind you. I wouldn’t say it is anything that takes away from the game, it just can be a little challenging at times. One thing that is fun though is riding a motorcycle in first person. It can be very exhilarating in the game almost as if you are actually riding one yourself and if you happen to crash or fall of a cliff in this mode, the effect of tumbling and falling is an intense rush or fear like you are falling in real life. I would say that overall, it is definitely a worthy addition to Grand Theft Auto. It adds a new perspective and dimension to the game and makes you appreciate the detail that Rockstar took the time to put into the game. One very nice thing is that if you’ve spent a lot of time with your online character that you created on the older version and don’t want to start all over, you’ll be able to do a one time transfer over to the PS4 version. I know a lot of people have spent quite a bit of time completing various jobs and missions in the online world as well as creating crew with others. The fact that Rockstar lets you transfer your character including money, weapons, property, and whatever else you may have is just icing on the cake. Rockstar has also increased the number of online players that can be in the game world at one time to 30. It can get really chaotic and I was killed many times from other players that don’t want to do anything but take out other online players. It can be frustrating at times especially if your character has not gone up in rank and does not have access to the more advanced weapons. I haven’t played online very much in GTA 5 so my character has had a very low rank. As I’m trying to make my way to the gunstore, Ammu-nation, I keep getting blasted in the head by others sometimes as soon as I respawn. It can be funny though sometimes as I watched chaos unfold from a distance with a whole bunch of other online players and then seeing someone flying a jet and then crash into the middle of nearly all of them, taking them all out. The multiplayer aspect of Grand Theft Auto 5 has grown tremendously over the last few years thanks to Rockstar’s continued support of it. This game is now one of the highest selling games as well as one of the most played in history and still not much signs of it slowing down to this day. If you’ve followed my posts on this site, you’ll have seen that I’ve posted quite a few experiences with a majority of the content that Rockstar has released for the game. There’s just so many things to do and engage in for the online portion of the game that it seems like you’ll never get bored. As a matter of fact, the game developer just very recently added a new piece of content called the After Hours Update and I just posted my first experience with it here. There are new weapons, vehicles, properties to buy, challenges, clothing, aircraft, boats, missions, hidden treasures, and more. Believe it or not, one of the newer pieces of content allows you to gain access to Fort Zancudo which has usually been off limits. You can now have low level access to the military base as you’re able to purchase an aircraft hangar that’s part of what’s known as the Smuggler’s Run Update. You can also engage in online Heist missions that if you fully complete, will give you a large chunk of money and trust me, you’ll want as much money as possible as there’s so many things you can now buy with it and trust me, a lot of it is very expensive. 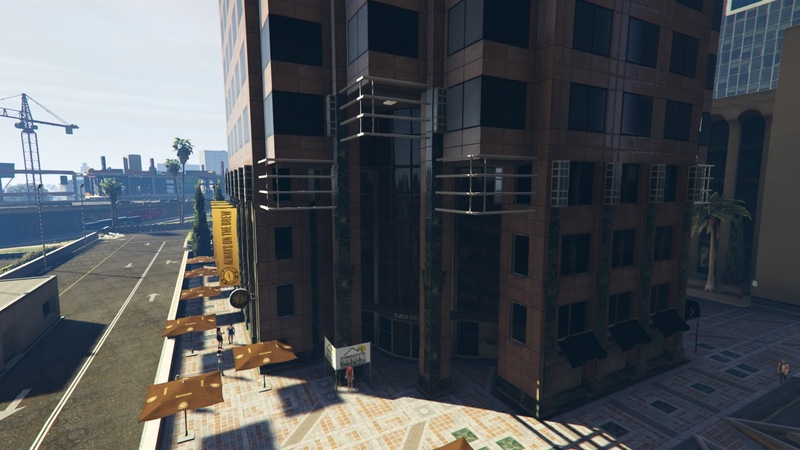 If you want to earn lots of money in GTA Online, there are so many way now to do so. What used to be one of my main money earners were the Survivor challenges where I had to survive 10 rounds of waves of enemies that ranged anywhere from police, Merryweather agents, to the people out in the country, specifically in Blaine County. I usually would be successful in completing all 10 rounds especially in the El Buro Heights Survival Challenge as well as the Sandy Shores Survival Challenge. Now I tend to earn a lot of money from illegal business activities that are part of the game. You can now be a CEO of a criminal organization which opens you up to other opportunities that became available later on such a Gunrunning and Smuggler’s Run. I really like Gunrunning because you can manufacture weapons from an underground bunker and sell them for cash. If you have a crew helping out, you can make more deliveries at one time and earn more money. There’s just so much more I could go on about, but I’ve talked quite extensively about a lot of these updates already so if you haven’t read any of my blog posts about the different updates that have been released, you can check them out here and scroll on through to find anything from the Doomsday Heist, to my my latest CEO activities. You no longer have to ask the question “What is GTA 5 About?” after reading my review. I am glad to say that I’ve have purchased GTA V again for the new generation. 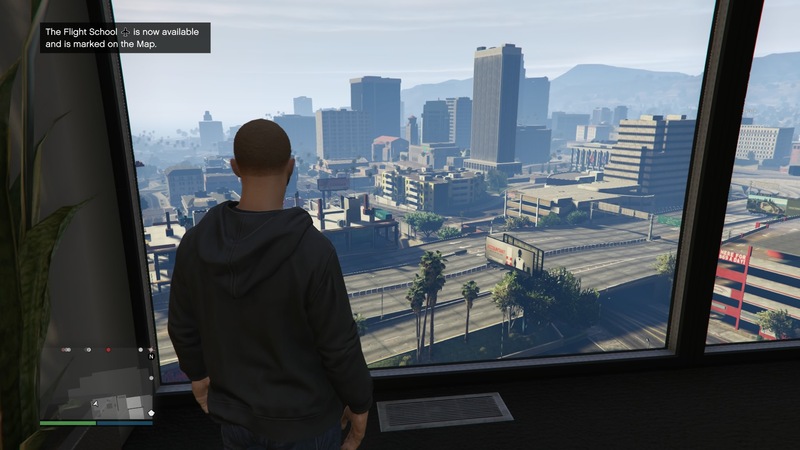 The world of Los Santos and the surrounding area is now even more lifelike with greater detail than before thanks to running in full 1080p resolution. With some other new things added such as some new weapons, vehicles and even some character specific side missions as well as an expanded multi-player and first person mode, it has been well worth playing Grand Theft Auto V again. The multiplayer portion of GTA V is now the most popular part of the game. With Rockstar’s continuous support of this spectacular game, it won’t die down anytime soon even with another high profile game on its way this year. 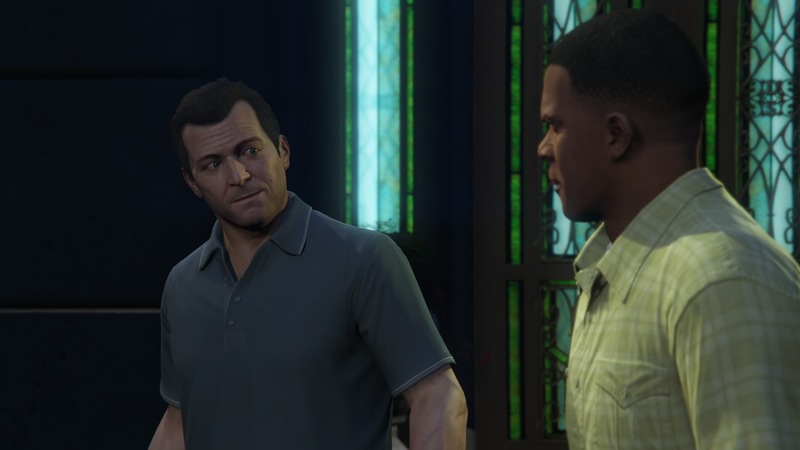 You’ll laugh at some of the witty humor that the characters, especially Trevor, dish out in different moments of the game. This is a game that should last a long time and keep you interested until the next iteration of Grand Theft Auto arrives. Amazon is probably one of the best places online to buy games as they always seem to have amazing deals. Grand Theft Auto V for the PS4 is going for a really low price right now and if you’re a Prime member, you get free 2 day shipping. Grand Theft Auto V has been out for a good few years now and with the continued online support from the developer, now is as a good a time as any to purchase this game if you haven’t already. I have to say, this is a very informative & detailed review of GTA 5, great job! I really appreciate the fact that You have analyzed a lot of core features as well as little details of the game with great level of clarity, nicely done! I have GTA 5 for PS4 and I love it! This game is just packed with content. It is absolutely ridiculous how much fun stuff You can do in that game, not to mention that it has a superb story line with very unique, diverse and fun missions to complete as well as very engaging & interesting characters (Mike’s story line was my favourite, although I loved Trevor’s and Franklin’s as well). Graphics are absolutely top-notch with its razor sharp native 1080p resolution, high res textures, great depth of field effect and much more with stable performance. I really like the huge selection and variety of cars in GTA 5, I just love to cruise around the world with those sleek looking cars while listening to some dope radio stations! I can go on and on about what I like about the game cause there is so stuff to experience in this game! But the best part of GTA 5 is of course that multiplayer which creates countless hours of pure fun to have while experiencing GTA 5 world in its full glory & potential with friends & other people around the world! Hi there Evald! Glad you like my review of GTA 5! I’m having so much fun with the multiplayer part of it that it seems like I’ll never play any other game, lol! What has been your favorite part of GTA 5 online? Very detailed and informative write-up. I first played a bit of GTA on the PS2 back in highschool, nd I must say the franchise has come a long way, both in terms of graphics and how you play the game. Sure, the basic GTA elements are still there but there’s some added flair to make sure things don’t get too boring. Yes, the GTA series has definitely come a long way. It kind of makes me wonder how they’re going to possibly top this especially when the developers have released so much great content for the online portion of GTA 5.